New Delhi, 21 July : This must be the nth time that the Maoists have withdrawn support from the K.P. Oli government (or for that matter any government in Nepal). Refusing to recognise the dynamics of power sharing, the outgoing Prime Minister K P Sharma Oli has accused India of creating instability in Nepal! “Blame it all on India” – has become the hallmark of Nepali polity for quite some time. What drove the Maoists to reduce the coalition government to a minority? Well, essentially, Prachanda was peeved that Oli had not implemented the nine-point agreement signed between the CPN-UML and the Maoists in May 2016. And also the gentlemen’s agreement for the change of guard. That aside, the allegation in a section of the Nepali media that the Indian Ambassador, Ranjit Rae, “threw a feast” after the Maoists bowed out added grist to the mills in Kathmandu. This is not for the first time that the Nepali media has allowed its speculation to run wild unmindful of the damage to India-Nepal bilateral relations. One such media speculation some months ago said the Indian Ministry of External Affairs was not too pleased with the Ambassador while another went to the extent of saying Kathmandu would be declaring the envoy persona non grata. One often forgets that it is easy to reinforce stereotypes that already exist in society about India’s efforts to micro-manage political affairs in Nepal. And thereby hangs a tale. Nepal has seen a series of coalitions wherein one party has the power to pressurize the other and this lends itself to instability. There have been 26 governments in as many years and this is not a sign of stability by any count. As recently as May this year, the Maoists withdrew support from the Oli government, only to restore support within 24 hours. Such a volte face was only possible because outside pressure was brought to bear on Prachanda to keep stability as the main plank. 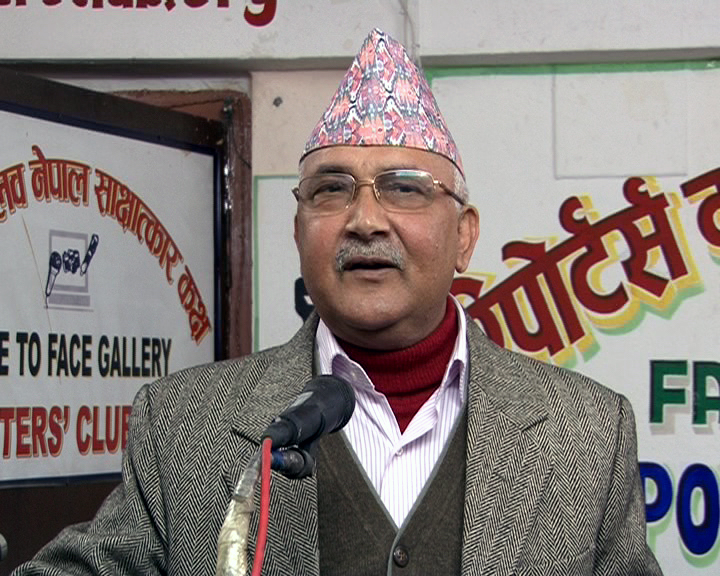 As of now, Oli has responded to the Prachanda pull out by saying that he will ‘think about it’. Under the Nepali constitution, Oli has two options. Either he resigns or faces a vote of no-confidence in Parliament. The real issue is not Oli- Prachanda equation. It is much deeper; it relates to stability of governance in Nepal. PM Oli may or may not survive, the NC with its numbers may get to back a Maoist government and so on; the possibilities are endless. The real question is who benefits from all this jockeying? That said one must question the motives of the Chinese in constantly backing the Maoists in whatever they do. China has consistently stated that it wants a stable government in Nepal. Recent days have seen hectic discussions between the government and a visiting Chinese delegation said to be resident at the Yak and Yeti hotel in Kathmandu. The Chinese have expressed the hope that the PM Oli-led government will continue till the visit of the ‘high level’ dignitary to Nepal in October. Pertinently, Prime Minister Oli had requested Chinese President to visit Nepal ‘within this year’ during his Beijing sojourn in March and this was reflected in the Joint Statement then issued. The Chinese have played a peculiar game with India in May when they got Kathmandu to claim that Nepal was the birthplace of Lord Buddha. It was a clear mischief on the eve of Kathmandu hosting the International Buddhist Conference. The obvious aim was to ensure that India, the land of the birth of Buddhism did not steal the limelight at the meet. That India did not attend the conference is not germane to the story though. The harsh reality is that China still has a hand on the till as far as Prachanda is concerned. He is a regular visitor to Beijing. At China’s behest Prachanda had proposed the idea of Nepal becoming a bridge between India and China. The Chinese have also penetrated the Kathmandu security establishment like never before and therefore are not too worried about which government is in power. The Oli government may be well placed to receive President Xi Jinping or Premier Le Keqiang in Kathmandu; that is if K.P. Oli survives the no-confidence motion against him. This process is expected to take a couple of weeks. Therefore, in the interim, it is best for India to bide its time as far as Kathmandu is concerned.